Due to overbearing and counterproductive financial regulations, innovation is often rewarded with heavy fines and loss of licenses. An institution with billions of dollars of revenue at stake cannot take the regulatory and reputational risk dealing with Bitcoin unless someone else does it first. Enter, LedgerX. For over four years, the firm pestered the CFTC to allow them to clear Bitcoin settled futures and options. The hard work paid off this fall when their markets launched. Less than two weeks later, the CME announced they too would join the club. The CBOE technically was the first legacy exchange to announce the impending launch of a USD settled Bitcoin futures contract; however, the CBOE will go live 2Q2018 and the CME plans to launch theirs by year end. The only reason why some large financial institutions (FI) participate in the digital currency ecosystem is they cannot ignore an asset class that went from $0 to almost $200 billion in value in under a decade. Large FIs are severely constrained in their ability to deploy large amounts of capital due to counterparty risk on exchanges not compliant with their specific jurisdictional overseers. 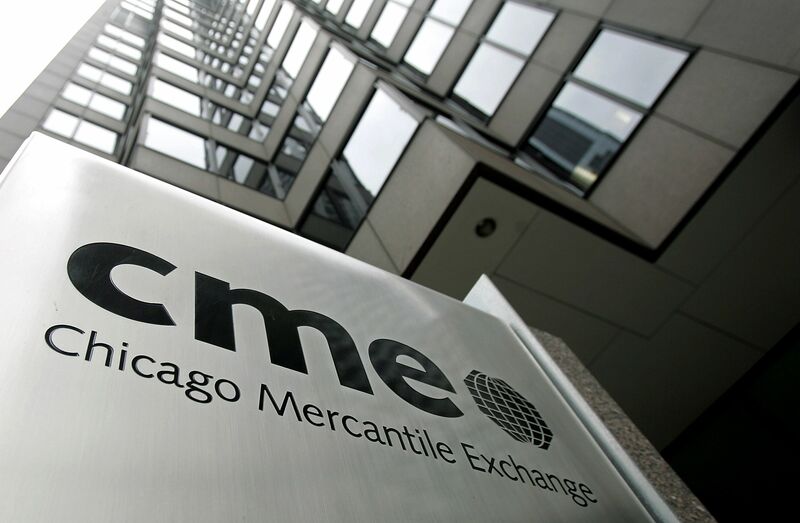 An exchange who they can already trade with, the CME, that offers Bitcoin trading products is exactly what they need to seriously get involved. A USD-settled Bitcoin futures contract is perfect for large traders who cannot or will not custody Bitcoin. This futures contract gives them exactly what they desire, a product that pays them fiat currency to speculate on a crypto currency. From the CME’s perspective, they also absolve themselves of the risk of losing customer Bitcoin. This product requires almost zero technical innovation on their part. The BitMEX XBTUSD swap is the most liquid Bitcoin / USD trading product globally. XBTUSD trades 5x – 10x more volume than the underlying index constituents, GDAX and Bitstamp, combined. XBTUSD’s daily trading turnover routinely exceeds $1 billion, and approaches $2 billion. The CME index will include itbit and Kraken as well. For market makers who must hedge flow on the underlying exchanges, two seriously liquid derivative contracts will increase the volatility in the spot markets. It will also place immense strain on the spot exchanges’ infrastructure. Can these four exchanges stand up to the likes of Citadel submitting, amending, and cancelling thousands of orders per minute? Time will tell, but the CME is about to get a crash course in Bitcoin. These issues probably influenced the way in which their index was constructed. The index methodology is overly complex in an attempt to deal with the forecasted liquidity and technological issues the leading spot exchanges face. BitMEX takes a more laissez-faire attitude about the Bitcoin markets than the CME can afford. Every financial reporter will be watching for any misstep, and the headlines will come hard and fast highlighting any issues. The Bitcoin markets are highly fragmented due to different regulatory regimes and cultural differences between traders from different domiciles. The type of trader who can trade with the CME cannot trade with many of the exchanges where the reference pricing occurs. This presents a trading opportunity of a lifetime for arbitrage funds who can straddle the regulated and unregulated exchanges, and who can trade across multiple jurisdictions. The divergences will become more acute as large positions are placed on CME and CBOE products. Will the regulated derivatives follow or lead vs. the cowboy trading occurring in North Asia? From a market microstructure perspective, this will be a very interesting experiment. In the disapproval of the Winklevoss ETF COIN, the SEC stated that the absence of a liquid regulated derivatives market concerned them. If the CME doesn’t face plant, this will pave the way for the ETF. The SEC dances to the beat of large FIs. If the CME is reaping immense profits from a derivative, asset managers will want in on the racket via a listed ETF. Much like LedgerX, the Winklevii might be bested by a large ETF manager like Blackrock or Vanguard, who now has the regulatory cover to apply for their own Bitcoin ETF. Blackrock vs. the Winklevii; who has more capacity to provide push jobs for ex-SEC staffers? While futures will allow wealthy individual traders and large FIs to comfortably trade Bitcoin, an ETF that appeals to retail investors globally will completely change the paradigm. Starting next year, expect more noise about an ETF approval emanating from the SEC. I did not expect institutional take-up of Bitcoin to grow this quickly. There is too much money being made by startups in the space for large FIs not to get involved. As more and more of the regulatory and repetitional risk is removed, institutions will continue to increase their involvement and exposure.